Access to Records - The "Slow Roll"
We were auditors once and we knew when we were getting the "slow roll" by Government contractors. The "slow roll is a condition where contractors keep promising something but would regularly miss promised due dates or where contractors would deliberately withhold some key piece of data and wait for us to find it missing and then have to re-request it and wait some more, or where contractors promised to "look for it" but when reminded, claimed they forgot or were too busy, or where contractors set up a single point of contact for data requests that turned in to the Post Office's dead letter office. We felt that the slow roll was the most insidious form of denial of access to records. We were never much bothered by the categorical denial - at least the contractor was forthright. With a categorical denial, we simply elevated the problem, stopped the audit and went on to something else. We had plenty of other audits to work on. With the "slow roll", there was the potential of wasting significant audit resources by waiting on data. One major contractor, in a candid moment, told us that they could not control the number of auditors assigned to their plant but they could sure control the efficiency and effectiveness of those auditors by cranking up the company's passive-aggressive behavior. In an attempt to mitigate, or at least minimize, the infamous "slow-role", DCAA (Defense Contract Audit Agency) revised its instructions about five years ago to require auditors to assign realistic due dates to every data request. Then, if those dates were missed, the auditor would immediately initiate the denial of access to records procedures that we described yesterday. According to the latest instructions, DCAA believes that supporting documentation should be readily available and provided upon request. This means immediately or within a few minutes but less than an hour. The guidance also cautions auditors to consider extenuating circumstances such as when the data is stored offsite or is voluminous or if contractor analysis is required. Contractors use of liaisons should not delay or inhibit auditor access to contractor personnel. Auditors usually like to receive support directly from the person responsible for the information. If the use of liaisons results in delays, disruptions, or other encumbrances, the auditor will most likely write it up as a denial of access to records. Contractors need to be sensitive to the perceptions of auditors in these matters. Denials, whether categorical or of the "slow role" variety may result in "suspended" costs and a DCAA Form 1. DCAA can suspend costs claimed on public vouchers (cost-reimbursable contracts) where there isn't sufficient data to support the allowability, allocability, or reasonableness of those costs. This doesn't mean that the costs are unallowable. It simply means that until such time as the contractor provides the data required for the auditor to assess the propriety of claimed costs, the Government is going to keep the money. Eventually, the contractor will get paid however in the meantime, their cash flow is disrupted. We've been discussing generally the last few days about DCAA's (Defense Contract Audit Agency) internal workings when they are confronted with a contractor that doesn't want to provide data that's been requested or grant access to its employees for floorchecks or other types of inquiries. Today we want to look at specific procedures that the auditors, supervisors, and managers should follow when they deem that a contractor is denying them access to records. Perhaps from this, contractors can tell when the situation is turning from chest beating and posturing to something really serious. First we should point out that under GAGAS (Generally Accepted Government Auditing Standards) it is the auditors responsibility to determine what data is necessary to support the audit results. The auditor determines what comprises competent, relevant, and sufficient evidential matter to form and express an audit opinion a a contractor's proposed or incurred costs. It is not the contractors position to tell them otherwise. This doesn't mean that contractors don't have the right to know the purpose for which the data is being requested or ensure that the data has some nexus to the audit scope. It also doesn't mean that a contractor cannot suggest alternate ways of obtaining the same level of support. Most auditors appreciate suggestions that will expedite an audit or make things more efficient. When an auditor requests supporting data/documentation from a contractor, the request should clearly state what support is needed and when it should be provided. The contractor is entitled to a reasonable period to provide the data given the specific circumstances. Generally, if an auditor is requesting readily available data such as vendor invoices or payroll records, they expect a quick turnaround (several hours at the most). If the request requires some sort of analysis, compilation, or reports in a certain format, several days may be a reasonable turn-around time. If the contractor does not provide the requested information by the requested due date, and the contractor has not provided an appropriate explanation for the delay, the auditor will prepare a formal written request to the contractor stating that the information must be provided by a specific date (no later than one week). This written request will be initiated no later than five days after the initial due date. The written requests should be addressed to the appropriate high-level contractor management official, no lower than the business segment vice president or chief financial officer. A copy will also be sent to the contracting officer. When the auditor is convinced that the requested data will not be provided based on a categorical denial or the five days have lapsed, the auditor will notify the contractor in writing that a formal denial to records exists and is being reported to appropriate government personnel. The auditor will solicit assistance from the ACO by providing a description of the denied data, why the data are needed, and the cost impact related to the denial of access. The auditor will also prepare and forward to the DCAA Regional Office a description of the denial. The Regional Office will review and approve it and forward it on to Headquarters. If all previous efforts fail, the Regional Manager will review the matter and determine if a subpoena should be requested. This could be either a DCAA subpoena or a DoD-IG subpoena, depending upon the nature of the audit. Obviously, its not in anyone's interest (except perhaps for the attorneys) to allow differences to fester on routine matters pertaining to proposal evaluations or incurred cost. Most auditors are reasonable in their expectations and requests and most contractors are responsive to those requests. Government auditors have an insatiable appetite for data - they want to see or have the ability to access everything in a contractor's facility. Contractors on the other hand, are reluctant to grant such wide and unfettered access, reasoning that they'll support the cost estimates required by a proposal or the incurred costs incurred under certain types of contracts, but no more. Usually these differences are resolved at the local level but sometimes there's no meetings of the minds and the contract auditors will report the disagreement as an access to records issue. We mentioned this a couple of days ago in the context of access to contractor employees. DCAA's guidance to its auditors is to report and escalate any real or perceived restrictions on talking with contractor employees. What gets reported? Where does the report go? Who has the obligation or responsibility to resolve the issues? We'll try to answer these and other questions. The following is recorded in the DCAA Contract Audit Manual. When contractor personnel deny or unreasonably delay access to records needed for audit, auditors should immediately notify and thoroughly discuss the issue with responsible contractor officials authorized to make decisions. Reasonable effort should be made to resolve the issue in a timely manner at the lowest possible DCAA and contractor management level. If access is denied following the initial conference with the contractor, the auditor should follow the procedures cited in DCAA Instruction No. 7640.17. When implementation of DCAA Instruction No 7640.17 does not resolve contractor denial of access to records, then the regional office should consider requesting Headquarters to subpoena the records in accordance with DCAA Regulation No. 5500.5. The DCAA Director is authorized to subpoena contractor documents and records needed to audit costs incurred under flexibly priced Government contracts and subcontracts, and to audit the accuracy, completeness, and currentness of certified cost or pricing data used for negotiated Government contracts and subcontracts. As a practical matter, the Agency will not be issuing any subpoenas. They tried a couple of times and failed to enforce it. Now for the consequences. If the issue is not resolved, auditors are instructed to take the following arbitrary and unilateral actions. When the contractor denies the auditor access to records/data, the costs affected by the denial should be questioned under price proposals. Such costs should also be questioned on progress payments and suspended under cost-reimbursement contracts. A contractor's denial of access to records may be so extensive that it is impractical to perform any audit or determine an amount affected by the denial. In such a case, immediately notify all procurement and contract administration activities that may be involved with the subject audit and request their assistance. In addition, the auditor should recommend suspension of payments on all affected contracts until the access to records problem is resolved. These measures can severely disrupt a contractor's cash flow and could imperil contract performance. Contractors do not want to take "access" issues lightly. Tomorrow we will look at DCAA Instruction No. 7640.17 in more detail. This instruction provides the specific steps for documenting, elevating, and resolving access issues. When it comes to auditing incurred costs, DCAA has devised a series of what they term "MAARs" or Mandatory Annual Audit Requirements. One of those MAARs, MAAR No. 6, requires that the auditor perform some sort of testing of labor costs in the year that the labor was incurred; not wait until they get around to auditing incurred costs which could be years and years after the fact. This is what DCAA is doing when the Agency performs "floorchecks" or, to use another term, "real-time testing of labor". When performing floorchecks, DCAA is testing to see if the employee exists, is charging the correct job number, and is completing his/her timecard in a timely manner. The difference between auditing, say material costs and labor costs is that in the case of material costs, you have some third party verification in the form of invoices. You also have purchase orders, shipping/receiving documentation, etc. and you can verify that those parts ended up in the final product. With labor, you have none of that. That's why auditors need to test the propriety of labor charges as they are incurred. For employees still employed, physically observe employee and inquire as to start date with contract to ensure the employee worked for the contractor in the year under audit. For employees not longer employed, review employee personnel records (e.g. copies of driver license, passport, contractor badge, etc). Validate payment of sampled employees to contractor bank statement, electronic funds transfer, or third party payroll processor records. Review other documents the employee may have created, processed, or approved during the period under audit (e.g. travel records/employee expense reports, W-4s, leave requests). Determine if Contracting Officer has other evidence corroborating employee existence. Review contract requirements (i.e. key employee, job title, or labor category). 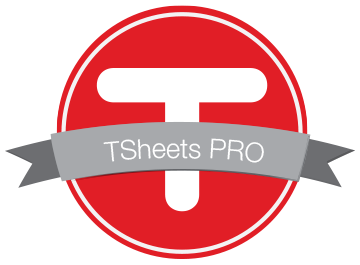 Review statement of work and work orders/authorizations to ensure labor type (i.e. scientist) is required to perform the work. Determine if Contracting Officer has other evidence corroborating employee's labor is allocable to the contract. If you thought that DCAA's floorcheck questionnaire was onerous and invasive, these alternate procedures are that on steroids. We're going to take a break form the CAS working group guidance and catch up on some current events. So far, we've discussed ten of the twenty guidance papers that are still current, according to DoD. We will resume the series in the near future. Today we want to discuss an audit alert memorandum that was issued by DCAA (Defense Contract Audit Agency) last July but just recently posted onto their website. The subject of this audit alert concerns auditor (specifically DCAA) access to contractor employees.The question they are attempting to resolve is whether or not contractual language gives them the right to access contractor employees or limits access to "records" only. The complete memorandum can be accessed here. The memorandum begins by stating that DCAA Headquarters recently received feedback from various offices that some contractors are challenging DCAA's right to interview and observe employees during performance of their audits by arguing that FAR 52.215-2 (Audit and Records - Negotiation) limits the Agency's access to records only, and does not include access to their employees. In other words, DCAA (or any contract auditor for that matter) cannot perform floorchecks to determine the propriety of labor costs charged to Government contracts. Obviously, DCAA does not and will never agree with such a position. And, contractors are not going to win that battle. Its been tested many times before and ultimately, the Government wins. Parenthetically, we might warn contractors that any attempt to restrict access to employees will simply increase the auditor's suspicions that the contractor has something to hide. There are valid professional auditing reasons for requiring access to contractor employees. First is the professional auditing standards (Generally Accepted Government Auditing Standards or GAGAS). These standards require auditors to inquire with management and others withing the contractor organization that, in the auditor's professional judgment, have information pertinent to successful planning of their audit (see GAGAS 5.06). Another GAGAS requirement, found in 2.09a, requires auditors to obtain sufficient, appropriate evidence to provide a reasonable basis for the conclusions expressed in a report. Performing inquiries and observations of contractor employees and their processes (floorchecks) provides auditors with the evidence needed to formulate an opinion and is a fundamental part of the contract audit process. Interviews allow the auditor to evaluate compliance with labor charging policies and procedures and internal controls designed to ensure the reliability of the timekeeping records and the contractor's compliance with the terms and conditions of its Government contracts. Observations confirm that the employee is at work, performing in the correct job classification, and charging time to the appropriate cost objective. The guidance concludes by telling auditors to consider any attempts by contractors to restrict access to employees a denial of access to records. We've been working our way through what is commonly referred to as the CAS Working Group Guidance. Between 1975 and 1981, DoD convened a group of CAS "experts" to come up with practical solutions to some issues that contracting officers were facing in trying to interpret and apply the rules and regulations being promulgated by the CAS board during that time. During that time, the Working Group published a total of 25 "interim" guidance papers. According to DoD, twenty of the 25 are still current. Today we will be discussing Working Group Guidance # 76-15, Influence of CAS Regulations on Contract Terminations. To read previous installments in this series, go to the "Labels" section on this page and select "CAS Working Group". The Department of Defense believed that with the passage of time, more and more contracts being terminated will be CAS-covered contracts. Questions arose as to whether there is a conflict between DOD's normal termination cost practices described in FAR Part 49 and CAS Board Regulation, particularly Standards 401, 402, and 406. CAS 401 generally requires that costs be accumulated and reported in the same way that they have been estimated. Since the cost estimates leading up to the signing of a contract are ordinarily predicated upon the contract being performed to completion, many of the costs contained in the termination claim are likely to be arranged in ways that are quite different from the cost presentation contained in the original estimate. Under the requirements of CAS 402 “like costs” in “like circumstances” must be consistently classified as either direct only or indirect only. Under FAR, termination claims will often include costs such as settlement expenses, unexpired lease costs, etc. as direct charges while those costs or functions would have been charged as indirect costs if the contract had run its course. DOD's view is that terminations and normal accounting practices are not "like circumstances". Normal termination procedures violate neither CAS 401 or 402. The termination of a contract creates a situation that is totally unlike the completion of a contract. It is not reasonable or logical to extend the requirement for consistency with an estimate to an event which was never anticipated in the estimate. The circumstances usually associated with a termination also mitigate the requirements of CAS 402 since the “like circumstances” referred to in the Standard are generally lacking. As for CAS 406, Accounting Period, DoD once had a policy that allowed contractors to utilize a partial year rate if the costs involved were insignificant. It is now DoD's policy that CAS covered contractors are prohibited from using a short accounting period. Thus, a contract terminated early in an accounting period may use an estimate of overhead for the remainder of the year that, together with the incurred historical costs represent a full fiscal year. We've been working our way through what is commonly referred to as the CAS Working Group Guidance. Between 1975 and 1981, DoD convened a group of CAS "experts" to come up with practical solutions to some issues that contracting officers were facing in trying to interpret and apply the rules and regulations being promulgated by the CAS board during that time. During that time, the Working Group published a total of 25 "interim" guidance papers. According to DoD, twenty of the 25 are still current. Today we will be discussing Working Group Guidance # 76-13, Applicability of CAS 405 to Costs Determined to be Unallowable on the Basis of Allocability. To read previous installments in this series, go to the "Labels" section on this page and select "CAS Working Group". It has been suggested that the last five words of paragraph 405.30(a)(4), “. . . to which it is allocable.” can be interpreted to mean that CAS 405 does not apply to costs determined unallowable by the Government on the basis of allocability, and thus a contractor is not required to identify such unallowables. It is the intent of the Cost Accounting Standards Board that CAS 405 apply to all costs determined unallowable, including those so determined on the basis of allocability. This intent is consistent with the standard's purpose as stated in paragraph 405.20 of the standard. Thus, the definition of an “unallowable cost” applies to any cost which a contractor assigns to Government contracts which is determined to be unallowable for whatever reason; i.e. law, regulation, contract terms, or allocability. Going one step further, assume that a contractor proposes a cost on a contract and it is questioned solely on the basis of allocability. The contractor has two options: (1) he can agree with the Government that the cost is not properly allocable and, therefore, unallowable, or (2) he can claim that the cost is allocable and, therefore, allowable. In the first case the cost is unallowable by mutual agreement and in accordance with CAS 405.40(a) must be identified. In the second instance, if both parties hold their ground and the cost becomes the subject of a dispute, then in accordance with CAS 405.40(b) it becomes designated as unallowable and must be identified if used in computing any billing claim for the contractor to claim that the cost is allocable while simultaneously claiming that he does not have to identify it per CAS 405 because it is not allocable. According to this Working Group guidance, contractors should be required to identify all unallowable claimed costs in accordance with CAS 405, including costs determined unallowable by the Government on the basis of allocability. If a contractor refuses to identify unallowable costs, including those determined not allocable, the contractor is in noncompliance with CAS. We've been working our way through what is commonly referred to as the CAS Working Group Guidance. Between 1975 and 1981, DoD convened a group of CAS "experts" to come up with practical solutions to some issues that contracting officers were facing in trying to interpret and apply the rules and regulations being promulgated by the CAS board during that time. During that time, the Working Group published a total of 25 "interim" guidance papers. According to DoD, twenty of the 25 are still current. Today we will be discussing Working Group Guidance # 76-10, Retroactive Implementation of Cost Accounting Standards When Timely Compliance is Not Feasible. To read previous installments in this series, go to the "Labels" section on this page and select "CAS Working Group". There are two significant dates in the implementation of cost accounting standards, the “effective” date and the “applicability” date. The effective date “Designates the point in time when the pricing of all future CAS-covered procurement must reflect the requirements of the newly promulgated standard . . .”; and the applicability date “. . . marks the beginning of the period when the contractor must actually change the accounting and reporting systems to conform to the standard.” The applicability date of most standards is the beginning of the contractor's next accounting period after receipt of a CAS-covered contract following the effective date of the standard. There have been unusual situations when it is virtually impossible for a contractor to comply with a particular standard at its applicability date because the standard requires a major revision to a segment of the contractor's cost accounting system. In this instance, attempting to forecast the impact of the standard on a negotiated contract to be entered into after the effective date of the standard could be inequitable to either party. In these situations, a contractor may request a deferral from the ACO. If the contractor can demonstrate to the satisfaction of the ACO, that it is virtually impossible for it to comply with the effective or applicability dates of a standard the ACO is authorized, by this guidance, to establish a specific date for for the contractor to make the necessary changes to its estimating, accounting and reporting systems to be in compliance with the standard. The Working Group guidance contains some additional specific requirements that contractors and contracting officers must follow when a deferral is granted. Bottom line however, if the ACO grants an extension, contractors won't have to worry about any noncompliances being reported. We've been working our way through what is commonly referred to as the CAS Working Group Guidance. Between 1975 and 1981, DoD convened a group of CAS "experts" to come up with practical solutions to some issues that contracting officers were facing in trying to interpret and apply the rules and regulations being promulgated by the CAS board during that time. During that time, the Working Group published a total of 25 "interim" guidance papers. According to DoD, twenty of the 25 are still current. Today we will be discussing Working Group Guidance # 76-9, Measurement of Cost Impact on FFP Contracts. Significance of "Effective" and "Applicability" Dates included in CAS. To read previous installments in this series, go to the "Labels" section on this page and select "CAS Working Group". CAS has several provisions regarding accounting changes and noncompliances. CAS requires an equitable adjustment whenever accounting system changes result from the issuance of new cost accounting standards. CAS requires that the Government and contractors negotiate the terms and conditions under which a voluntary change to either a disclosed or established cost accounting practice will be made. CAS also provides for recovery with interest of any over payments that have resulted from a contractor's failure to comply with either a CAS Standard or a disclosed practice. CAS does not however, address the mechanics of these computations. Although there is a certain theoretical purity to the use of original cost estimates for adjusting fixed price contracts for mandatory and voluntary changes, there are several serious impediments to that approach that are intrinsic to fixed price contracting. While the parties to a fixed contract have agreed to a total price, there is often no agreement as to how much of the price represents cost and how much profit and seldom a meeting of the minds on the amount of any individual element of costs. This will be particularly so if the award was based on adequate price competition. Further, many fixed price contracts will have undergone numerous price changes due to engineering modifications and other changes. In such cases, tracking of an individual cost element may prove virtually impossible. There is also the danger that the confusion resulting from the attempt to reconstruct the original data will provide an opportunity to reprice loss portions of contract performance that have elapsed prior to the point of the change. To overcome these issues, the Working Group issued the following guidance. Cost adjustments under either mandatory or voluntary changes should generally be the net difference between the current estimated cost to complete using the old accounting methods and the same estimate reconstructed to reflect the new methods. We've been working our way through what is commonly referred to as the CAS Working Group Guidance. Between 1975 and 1981, DoD convened a group of CAS "experts" to come up with practical solutions to some issues that contracting officers were facing in trying to interpret and apply the rules and regulations being promulgated by the CAS board during that time. During that time, the Working Group published a total of 25 "interim" guidance papers. According to DoD, twenty of the 25 are still current. Today we will be discussing Working Group Guidance # 76-7, Significance of "Effective" and "Applicability" Dates included in CAS. 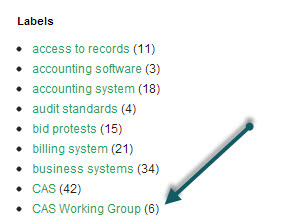 To read previous installments in this series, go to the "Labels" section on this page and select "CAS Working Group". This particular Working Group Guidance Paper is rather moot until such time as the CAS Board begins to issue new Cost Accounting Standards. It deals with the difference between "effective" dates and "applicability" dates. However, since all existing CAS standards are "effective" and have been for several decades, there is really no reason to make such distinctions. To facilitate the implementation process, each CAS standard carried its own statement regarding the date it becomes effective and generally, a statement describing the time and conditions under which the standard should be applied to the contractor's accounting system - the applicability date. The effective date designates the point in time the Government can require compliance with the Standard's provisions. As a matter of policy, the CAS Board generally defers the application of the standard to the contractor's accounting system beyond the effective date. So, for example in CAS 406, Cost Accounting Period, the effective date is April 17, 1992 and the applicability date is the beginning of the contractors next fiscal year after receiving a contract to which the standard was applicable. This deferral is intended to provide affected contractors adequate time to make necessary preparation for compliance and to provide a more convenient time to initiate the required accounting changes. The guidance given in this "paper" simply alerts procurement officials and auditors that they need to be cognizant of the effective and applicability dates of each CAS standard and ensure that contractors have considered the impact of these standards in proposals and cost impact studies. The "Working Group Papers" were published by DoD between 1976 and 1981 to assist its contracting officers in interpreting and applying the rules and regulations being promulgated by the CAS Board during that time. According to DoD, 20 of the 25 "interim" guidance papers are still current. The purpose of this series is to review those that are still current. Today we will be looking at Working Group Guidance 76-6, Application of CAS Clause to Changes in Contractor's Established Practice where a Disclosure Statement has been Submitted. WG 76-6 - Application of CAS to Changes in Established Practice Where Disclosure Statement Submitted. Contractors and subcontractors are required to disclose in writing their cost accounting practices under the criteria set forth in FAR 9903.202-1 (and elsewhere). This is called the "CAS Disclosure Statement". Not every Government contractor is required to submit a disclosure statement however. For contractors that are not required to submit, the Government falls back to their "established practices" when assessing the propriety of their cost accounting practices. The ACO is required by FAR to make a determination as to whether the disclosure statement adequately describes the contractor's cost accounting practices. In order to be deemed adequate, the disclosure statement submitted by the contractor must be current, accurate, and complete. A contractor required to submit a disclosure statement may have cost accounting practices which are not specifically covered by Disclosure Statement or there may be other reasons why particular practices were not disclosed. That means the practice is not technically a "disclosed practice". When non-disclosed practices are revised due to either (i) a mandatory change or (ii) a voluntary change, the question arises as whether the contractor is required to revise its Disclosure Statement and submit a contract price adjustment. The CAS clause discusses changes to an "established cost accounting practice" as well as a "disclosed cost accounting practice." When a contractor is required to disclose his practices, he is, in effect, disclosing his established practices and should be disclosing all relevant cost accounting practices. Therefore, a cost accounting practice not disclosed is considered an "established cost accounting practice" whether or not it should have been disclosed in or on the Disclosure Statement. So, contractors are not going to get off on technicalities. Even non-disclosed accounting practices are subject to cost impact adjustments. When an ACO makes a determination that the contractor's Disclosure Statement is adequate, it does not necessarily indicate that the ACO is certifying that all cost accounting practices disclosed have been adequately described and the ACO currently is not aware of any additional practices that should have been disclosed. Subsequently, when it is discovered that a contractor is not following a cost accounting practice that he failed to disclose or a change to that practice is made, the practice will be considered an "established cost accounting practice" and appropriate guidance in ...(FAR)... on changes and noncompliances will be followed. The "Working Group Papers" were published by DoD between 1976 and 1981 to assist its contracting officers in interpreting and applying the rules and regulations being promulgated by the CAS Board during that time. According to DoD, 20 of the 25 "interim" guidance papers are still current. The purpose of this series is to review those that are still current. Today we will be looking at Working Group Guidance 76-5, Treatment of Implementation Costs Related to Changes in Cost Accounting Practices. When a cost accounting practice is changed, whether the change is mandatory (issuance of a new cost accounting standard) or voluntary (any change other than mandatory) contractors will invariably incur costs to implement the change. Sometimes these costs are significant, sometimes not. Back in 1976, questions arose as to whether implementation costs associated with such practice changes may be included in cost impact statements, and whether such costs should be charged only to CAS covered contracts. Similar questions arise today. Since mandatory changes are required because of CAS Board actions, it has been proposed that total implementation costs should be allocated only to CAS covered contracts. In the case of voluntary changes, CAS Board regulations state that there can be no increased cost to the Government. This adds additional significance to the question of whether implementation costs should be included in the cost impact statement. Cost of implementing changes to accounting practices may include the cost of work performed by the contractor's personnel and/or work performed by outside organizations. Such costs are normally included in the contractors' overhead accounts and allocated to appropriate cost objectives. Given the above scenarios and discussion, the CAS Working Group has advised that implementation costs may be included in cost impact statements only to the extent they are a part of appropriate indirect expense pools, and allocated in accordance with the contractor's normal accounting practices. This principle applies to both voluntary changes and changes resulting from the issuance of Standards. This effectively means that such implementation costs may not be charged direct to any particular contractor or set of contracts. The "Working Group Papers" were published by DoD between 1976 and 1981 to assist its contracting officers in interpreting and applying the rules and regulations being promulgated by the CAS Board during that time. According to DoD, 20 of the 25 "interim" guidance papers are still current. The purpose of this series is to take a look at those that are still current. Today we will be looking at Working Group Guidance 76-4, Determining Increased Costs to the Government for CAS Covered FFP Contracts. One of the toughest things to determine is the cost impact resulting from accounting changes or noncompliances with CAS. One would think it to be simple, but its not. There are too many variables. We'll save this discussion for a later time but for purposes of this post, think about an accounting change that results in fewer costs being charged to FFP (firm-fixed price) contracts. Say, for example, a contractor changes the way it allocates sustaining engineering from a direct charge to an indirect charge. As a result of the change, fewer costs are allocated to a FFP contract under the new method than under the old. Was that increased costs to the Government? You might say "no" because the price was negotiated under the old allocation methodology and the Government received a fair and reasonable price. You might say "yes" because had the change been made prior to negotiations, the contract price would have been less. This WG Paper noted that opinions have been expressed to the extent that no increased cost can occur unless the contract price of a FFP contract is actually increased. However, DoD noted that this concept cannot adequately protect the Government as was contemplated by PL 31-379, because it provides a situation under which a contractor may overtly or inadvertently adjust accounting procedures so as to cause less costs to be allocated to FFP contracts. The contractor may thus receive a windfall. To protect the Government in all situations where FFP contracts are involved it is therefore necessary to recognize the phenomenon that occurs when cost allocations are decreased due to accounting changes. The CAS Board did so in 4 CFR 331.70(b). A basic premise of this paragraph is that the amount of such decrease represents the amount of increased costs to the Government. It is logical that this premise be extended to apply to all cases involving FFP contracts. Accordingly, the WG guidance given in this Paper states that Increased costs to the Government under firm fixed price contracts should be considered to exist when the costs allocated to the contracts are less that would have been allocated if the method of allocation had not been changed. This is the second installment in our periodic series on the CAS Working Group Guidance Papers. To read Part I, go here. The CAS Working Group existed for only about five or six years. The CAS Board was initially a legislative body but DoD (an executive agency) set up the working group to help its contracting officers to understand and interpret CAS standards and regulations. According to the Defense Contract Audit Agency, 20 of the 25 original working group guidance papers are still current. In this periodic series, we will be discussing the ones that are still current. Today we will look at Working Group Guidance Paper No. WG 76-3 issued on October 1, 1976. The CAS clause requires that contractors comply with all cost accounting standards in effect on the date of award of a CAS covered contract. Prime contractors and higher-tier subcontractors are also required to flow down the CAS provisions to their own subcontractors. The question arose as to what CAS Standards apply to the subcontractor(s); the ones in effect on the date the prime was awarded or the ones in effect on the date the subcontract was awarded. The CAS Board stated that subcontractors are required to comply with only those CAS Standards applicable to the prime contractor. Back when the CAS Board was issuing Standards, this question came up often. Now however, not so much. It isn't totally obsolete however because although no new CAS Standards have been issued in many years, the existing ones are modified from time to time. Currently, the Board is considering changes to CAS 412 and 413 to comply with the Pension Harmonization Act. After careful consideration of the CAS Board interpretation and its impact, the Working Group concluded that, in many cases, the administrative effort to implement the CAS Board's interpretation could be considerably greater than that required when subcontracts are subject to all standards in effect at the time the subcontracts are placed. This is evident when the two situations are compared. In the one instance each new subcontract would bring with it all current standards. This would leave no doubt as to the standards applicable to all the contractor's CAS covered work. In the other case, it would be necessary to track back to the prime contract to determine the standards that were effective. Following this, other existing contracts and new awards would have to be reviewed. The results of this would disclose which prime or subcontract included the latest standards, and thus establish the standards applicable to all CAS work. In view of the above, contracting officers were advised to require their prime contractors to include language in their CAS flow down clauses which requires that subcontractors at all tiers comply with all standards, rules and regulations in effect at the time the subcontract is awarded. Subcontractors, How Well Do You Know Your Primes? This is a story about Government contractors and their suppliers. Last week the Department of Justice announced a guilty plea in a $2.4 million government contract fraud scheme. There are many procurement fraud schemes that are uncovered every month. But this one has a little different twist. The Government, in this case wasn't exactly defrauded - the Government contractors defrauded their suppliers. According to the plea agreement, a woman (and her co-conspirators) set up at least 15 businesses in Maryland, Delaware, Georgia, Nevada, North Carolina and Tennessee. These companies were incorporated to bid on Government contracts to provide goods such as books, snowmobiles, plants, and paint. Most of the contracts were awarded using the FedBid online marketplace, where contractors compete for federal contracts through a reverse auction process. This woman's businesses often submitted extremely low bids to secure the contracts. Once awarded, these companies enticed victim businesses to act as subcontractors and supply the goods required by contract with the promise that the subcontractors would be paid after the Government paid the prime contractors. In due course, the subcontractors delivered the goods required by the contract and Government agencies paid the prime contractors for the products delivered. However, in many, if not most cases, the suppliers prices were higher than the prime contractors' bids to the Government. That didn't really matter much to the prime contractors because they never paid their suppliers for the goods delivered to the Government nor did they ever intend to pay their suppliers. The woman owner fraudulently retained these proceeds for her own personal benefit. Of course this kind of scheme can't last too long and that's why the woman set up her 15 companies. She typically operated under a particular business name for a period of six to 12 months until the business was either disqualified from the FedBid marketplace or was otherwise burdened with lawsuits or liens. Then, she simply continued the scheme under a newly-registered business name. In order to avoid name recognition, the woman and her conspirators started using aliases. The woman owner agreed to forfeit $2.4 million and a car. The sentencing comes later . She faces a maximum sentence of 20 years in prison and a fine of $250 thousand. A lot of suppliers were duped in this scheme and it could happen to anyone. Be careful of new customers and ensure that your credit policies are sound before extending then credit. Beware of a good thing. Back in the early days of the Cost Accounting Standards (CAS) Board, the Department of Defense (DoD) established a CAS Steering Committee and Working Group. From 1976 through 1981, this Working Group published 25 guidance papers. Most of these guidance papers, commonly referred to as "Working Group Guidance" and published as "interim" guidance, are still applicable today (37 years is a long time for interim guidance). The Working Group (WG)guidance was issued to interpret CAS Board rules and regulations for implementing in DoD procurement practices. We recall some sort of controversy surrounding WG guidance - the CAS Board, which was a legislative body at that time with the Comptroller General as head, was not always in agreement with DoD's "interpretations". Presently, the CAS Board is tucked under the Office of Federal Procurement Policy, Office of Management and Budget. According to the Defense Contract Audit Agency's Contract Audit Manual (DCAM), 20 of the 25 WG Guidance papers are still current. Also, according to DCAA, the substance of these interim WG Guidance papers have been incorporated into Chapter 8 of their audit manual. Chapter 8 is the Agency's guidance on Cost Accounting Standards. The full text of the WG guidance can be downloaded here. These aren't the best copies but the only ones we know of that don't require a subscription from West or CCH. You will not find these on the CAS Board's website. Over the next few days, we will be briefly discussing the 20 WG Guidance Papers that are still deemed to be current. We'll start with WG 76-2 from February 24, 1976. Application of CAS to Contract Modifications. WG 76-2 - Application of CAS to Contract Modifications and to Orders Placed Under Basic Agreements. The guidance states that "With respect to contract modifications the general rule is that any modifications made to a contract pursuant to the terms and conditions of the contract will not affect the status of the contract with respect to CAS application. That is, if CAS was applicable to the original contract, it will be applicable to the modification, if CAS was not applicable to the original contract, it will not apply to the modification." In the case of Basic Agreements, FAR 3-410 specifically states that they are not contracts. The individual contracts or orders are therefore to be individually considered when determining the applicability of CAS. If the CAS dollar threshold is reached and the negotiated contract or order is not otherwise exempt under the CAS rules and Regulations, the contract or order is subject to CAS. The FAR Councils are proposing to amend FAR to implement a provision of the 2013 NDAA (National Defense Authorization Act). The Act requires revisions to the acquisition regulations on past performance evaluations so that contractors are provided up to 14 calendar days from the date of delivery of past performance evaluations to submit comments, rebuttals, or additional information pertaining to past performance, for inclusion in the Government's database. The Act also requires that agency evaluations of contractor performance, including any information submitted by contractors, be included in the relevant past performance database not later than the date that is 14 days after the date of delivery of the information to the contractor. This is a big change from current regulations. Under current regulations, contractors have a minimum of 30 days to submit comments, rebuttals, or additional information pertaining to past performance. Contractors frequently request and are granted extensions to this time period. Under the new regulations, the minimum of 30 days is reduced to a maximum of 14 days. Under the current rules, many past performance evaluations never make it to the database or are so late that they're not considered current. To be sure, there has been a low compliance rate among contracting officers in preparing and uploading these evaluations. Compliance is improving but far from 100 percent. Another issue has been the ability of contractors, with poor evaluations, to drag things out for an extended period. So for example, a contracting officer might send a poor evaluation to a contractor for comment. The contractor asks for and receives extensions beyond 30 days, sometimes multiple extensions. The contracting officer, before posting the evaluation, must "adjudicate" any differences and adequately respond to contractor comments. This can take a long time, depending upon the response. Once there's a nice tidy package, the evaluation gets posted. Under the revised regulation, the past performance evaluation goes live in 14 days or less. Contractors can send in their comments, complaints, rebuttals, or additional information at any time. However, the initial evaluation is still available for all to see. The system will also allow contracting officers to modify their initial evaluations, but how likely is that? Past performance information is valuable for source selection officials. The idea behind this new regulation is to get such information to those officials while it is still current and useful. The Government's stated objective here is to enable current information to be shared quickly throughout the Government and ultimately ensure the Government does business with high performing contractors. What is a "Sensitive" Consultant? We feel that we're talking about consultant costs too much on these blog pages. But every time we think we have the guidance nailed down, something new comes up. The other day, some contract auditors informed a contractor that it was going to review "sensitive" consultant costs as part of their incurred cost audit. Of course we asked them what "sensitive" meant in the context of consultant costs. There answer was somewhat vague but went along the lines of "we'll know it when we see it". So, they proceeded to ask for details of all consultant costs as well as all of the 1099s the contractor issued (see our previous posting on 1099s). Regarding the highest risk category, lobbyists, DCAA (and other contract auditors) will access public websites to determine whether any registered lobbying firms are working on behalf of particular contractors. Just because a contractor shows up on a lobbying firm's list of clients however, doesn't mean that the lobbying firm engaged in lobbying activities on behalf of the contractor. Most lobbying firms perform non-lobbying activities in addition to lobbying activities so it is important to show the actual activities performed. Here's a quick and easy formula to determine whether your proposal satisfies the limitation on subcontracting criteria, if such a limitation applies to the particular solicitation you're responding to. This one applies to contracts for supplies. "What is obvious from this regulatory text is that the cost of materials is not included in the comparison of the cost of the work performed by the contractor to the overall cost of manufacturing of the the finished product.... What is less obvious from the text of this regulation, however, is the formula which should be used to determine compliance with the requirement. The parties vigorously dispute the issue; unfortunately for plaintiff, the only persuasive authority on this issue favors the government's ... position." The GAO has adopted the following formula for determining whether a contractor is in compliance with the limitations on subcontracting clause in FAR 52.219-14(c)(2). The total contract cost (including profit) less materials and subcontracting costs is to be compared with all subcontracting costs less the subcontractor's materials. This means that the contractors total costs figure should include overhead costs, general and administrative (G&A) costs and profit. Thus, although the text of FAR 52.219-14(c)(2) might be assumed to require a simple comparison of the labor costs of the prime contractor and the labor costs of all of its subcontractors, both the GAO and the Small Business Administration (SBA) have found that a more comprehensive formula is required to determine compliance with this regulation. In this case, the plaintiff attempted to rebut this formula by reference to various accounting standards set forth in the FAR or developed by the Financial Accounting Standards Board (FASB). None of the plaintiff's arguments are supported by case lae, decisions of the GAO, or decisions of the SBA. The general accounting principles cited by the plaintiff were less pertinent to this case than the decisions of the GAO and the SBA which have specifically addressed compliance with FAR 52.219-14(c)(2). The Court recognized the GAO's expertise in the area and deferred to its interpretation. This formula really makes it a simple test to determine compliance with the regulations. The only possible unknown would be the breakout of material costs from your subcontractors' proposals. Generally, you would have required this level of detail during the bidding process. Here's a "heads-up" for Government contractors that are about to go through an incurred cost audit by DCAA (Defense Contract Audit Agency) or another contract audit organization. The auditors will probably be asking for copies of the 1099s you issued. As we've reported on these pages a number of times, the Government considers consulting costs to be a high risk audit area. The sensitivity of this area hearkens back to the 80s when several major contractors were caught up in scandals involving consulting costs and other were hard-pressed to demonstrate allocability of many consultant costs to Government contracts. This sensitivity resulted in a revision to the FAR cost principle governing consultant cost allowability (FAR 31.205-33) by adding a "minimal support" requirement. Whereas formerly the principle required "evidence of the nature and scope of the service furnished", the revised principle specifically required details of agreements, invoices, and work products. Auditors, being the clever people that they are, have been using these requirements ever since to question any consulting costs that are not supported by the three-legged support test. And for many years, this are represented "easy-pickens'" as contractors worked to improve their internal control systems over the sufficiency of supporting data. It remains a lucrative area for questioned costs even today. The backlog of incurred cost audits are problematic in many ways for contractors (e.g. delayed payments). One issue facing contractors is employee turnover, upgraded accounting systems, and record retention. Although contractors may have been able to provide adequate support when the costs were booked, i.e. in 2005 and 2006 and 2007, it is always more difficult to find today. You can almost be certain that any audit will include testing of consultant costs. Obtain vendor listing and 1099-Misc. (block 7) forms and review for possible consultants not included on the listing provided by the contractor. That's actually not a bad audit step and one that contractors can do themselves prior to the auditors' arrival to insure the completeness of any consultant listing provided the Government. Today we will conclude our series on how Government contractors are to treat gains and losses on disposition of assets by looking at a few miscellaneous events and considerations. Before we begin that however we should point out that when it comes to gains and losses, the Government also closely considers whether any losses are truly "allocable" to its contracts. Allocability is always a consideration in contracting but never more so than when contractors claim losses when disposing assets.The Government will do its best to determine whether those losses are proportional to the Government's use of those assets.This would involve historical and current analysis of both Government participation and contract type mix in the pool in which depreciation and gains are charged. Paragraph (g) of FAR 31.205-16 covers mass or extraordinary sales, retirements and dispositions. It simply states that gains and losses shall be handled on a case-by-case basis. This means that you had better secure an advance understanding with your contracting officer before the event. Paragraph (h) prevents contractors from charging gains and losses on non-depreciable property (e.g. real property) to the Government. Back in the 60s, a major Government contractor bought 80 acres of prime Silicon Valley land. It developed 40 of those acres for a plant and held the remaining 40 acres for future use. Every year, the contractor tried to include property tax (and other "upkeep" expenses) for the 40 vacant acres in its indirect expense rates. Every year, the Government questioned the amount. The contractor never did develop that land and many years later sold it to Intel at a huge gain. Too bad the Government didn't get to share in that gain. Finally, paragraph (i) of FAR 31.205-16 covers "write-downs" of long-lived and identifiable intangible assets. Due to environmental damage, idle facilities arising from a declining business base, or other impairment, contractors sometimes write-down the carrying value of assets to a fair value. Once those assets are disposed of, the question arises as to whether the gain/loss should be calculated based on the original book value or the new fair value. FAR answers that by requiring that measurement be based on the original book value, before write-down. To read the other parts in this series, see Part I and Part II. Involuntary conversions occur when a contractor's property is destroyed by events over which the owner has no control, such as fires, windstorms, hurricanes, floods, accidents, thefts, etc. Essentially the assets are destroyed or in the case of theft, gone. If there is no insurance to cover the loss, there is most likely a loss on the disposition of the asset, assuming the asset(s) still had book value. Paragraph (e) of FAR 31.205-16 covers involuntary conversions when an insurance award is recovered. When there is a cash award and the converted asset is not replaced, gain or loss shall be recognized in the period of disposition (or involuntary conversion). The gain recognized for contract costing purposes shall be limited to the difference between the acquisition cost of the asset and its undepreciated balance. The contractor gets to keep the "excess" insurance proceeds. Recognize the gain or loss in the period of disposition. The property is exchanged as part of the purchase price of a similar item, and the gain or loss is taken into consideration in the depreciation cost basis of the new item. Tomorrow we will look at "mass or extraordinary" sales and assets held for future use.